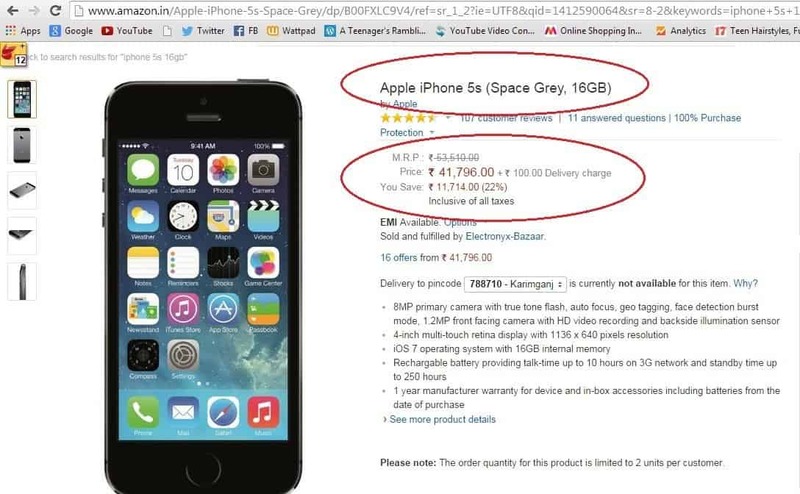 So, here comes the so called #BigBillionDay from flipkart and people are getting crazy over it. 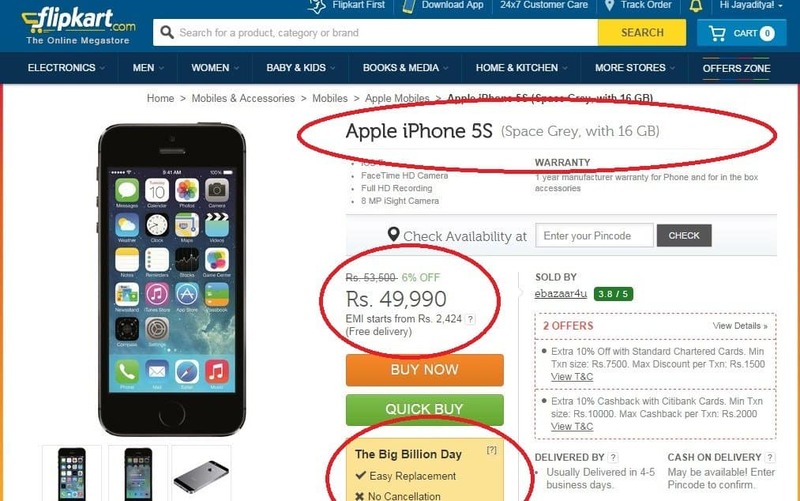 But is it really the #BigBillionDay? Nope you can find some better deals on other e-commerce websites. after a lot of ads and hype, finally it’s here, the #BigBillionDay from Flipkart, one of the leading e-commerce websites in India. According to them you can avail upto 90% discount, and also get a good amount of discount on various products. But is it true? We find out a few dispersal in case of price when we compared some of their prices with other e-commerce websites. Some people even attacked us when they saw some of our posts on Facebook and so, we thought of showing you all the proofs, coz we don’t wanna shout and fight with people who don’t know the truth and accuse us saying that we are misleading people. Here comes the biggest thing that caught my attention, it’s an Apple MacBook Air. 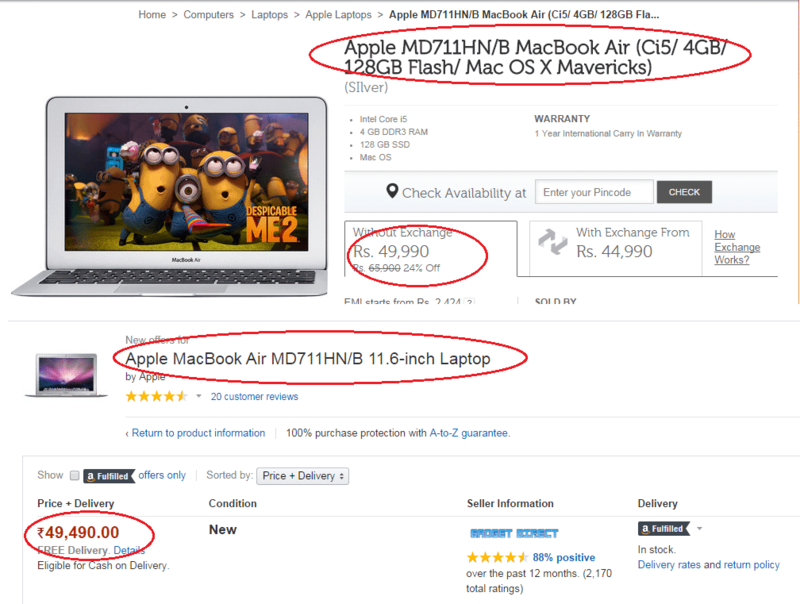 On Flipkart, they have listed the MRP as 69,900 and showing a price of 49,990 after 24% discount, but the same product is available on Amazon for Rs. 49,490, so you can save 500 bucks after that. Now, look at the comparison. At last, they are at the same point, however from a different seller you ca get it for a few hundred bucks lesser price. Now let’s move to another Apple product- iPhone 5S Space Grey 16 GB, which is being sold with a pricedrop from Rs. 53,500 to Rs. 49,990. But, on Amazon you can get this for a whooping price of Rs. 41,796. 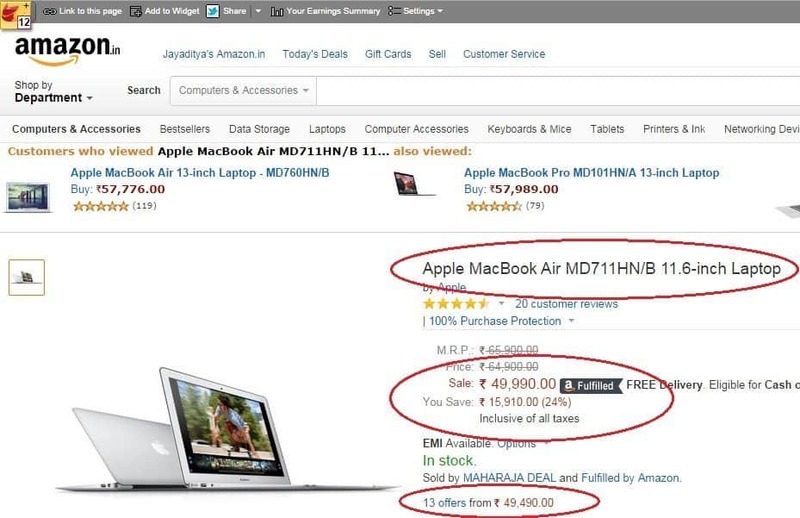 So, while Flipkart is offering just 6% discount, Amazon is away ahead of them giving a discount of 22%. You can see the price listed on Flipkart, and below is the screen of that same product page on Amazon. We will be uploading more such deals, via our Twitter handle @iGadgets_world. Keep checking the space below to get all the updates. Choosing Between Proxy and a VPN – which of the Tools to Use? WannaCrypt : Co-incidence or the start of World War III? You Can Chat with Your Favorite Movie Characters Soon – Thanks to the AI-based Chatbots!